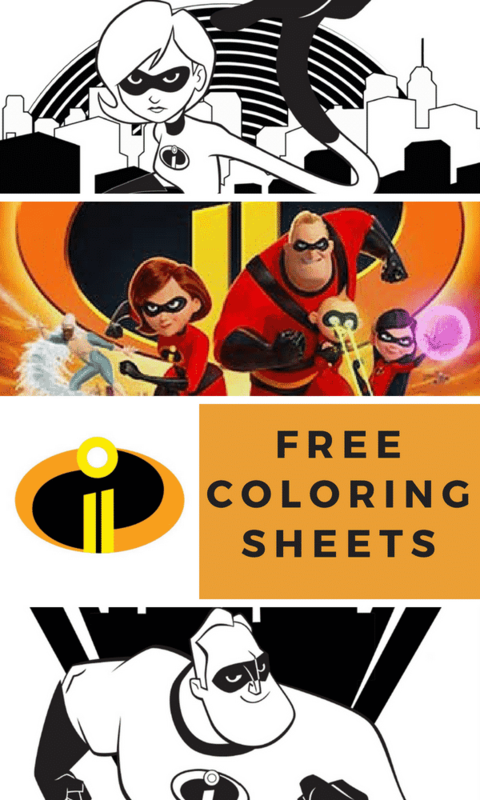 Download your free Incredibles 2 Coloring Pages here today! Super fun! We are totally gearing up for this movie. My daughter wants to take her friends to see it opening weekend because her birthday takes place a few days after it officially releases. So, we are renting out a theatre and welcoming 13 with a BANG! Teenage life here we come. (Pray for me) ANNNNYYYWAAAAY, enough about my nervous breakdown — this is all about YOU and what you can offer YOUR children on those rainy days and weekend lulls. Get your kids excited about this upcoming release with the below FREE downloads and don’t forget to join in on the fun. 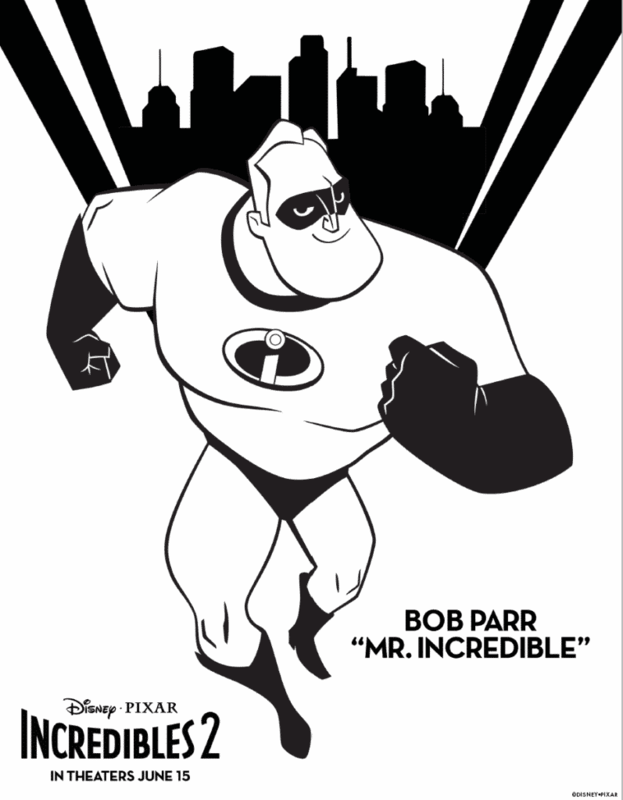 Everyone loves the Incredibles. 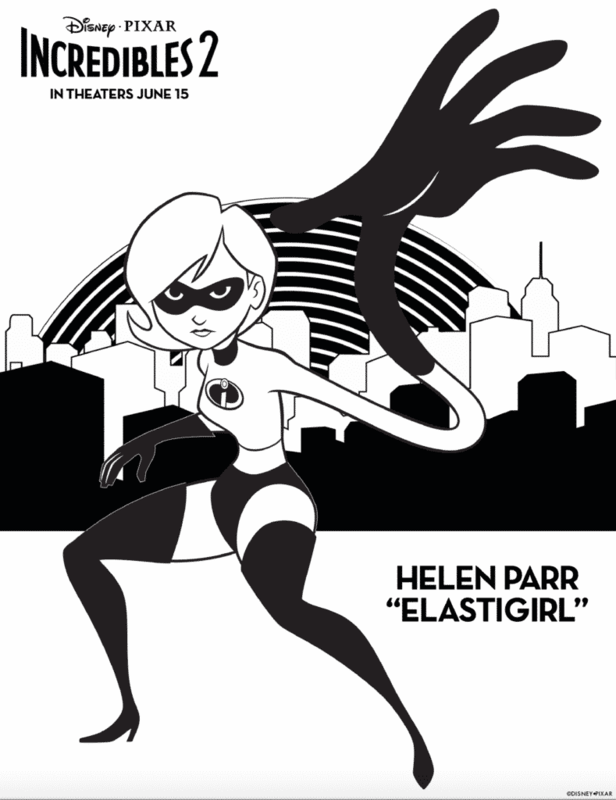 These are not only fun for a movie night, but would also make a great craft and take-home project for an Incredibles themed birthday party, or just a fun wearable summer craft for kids. 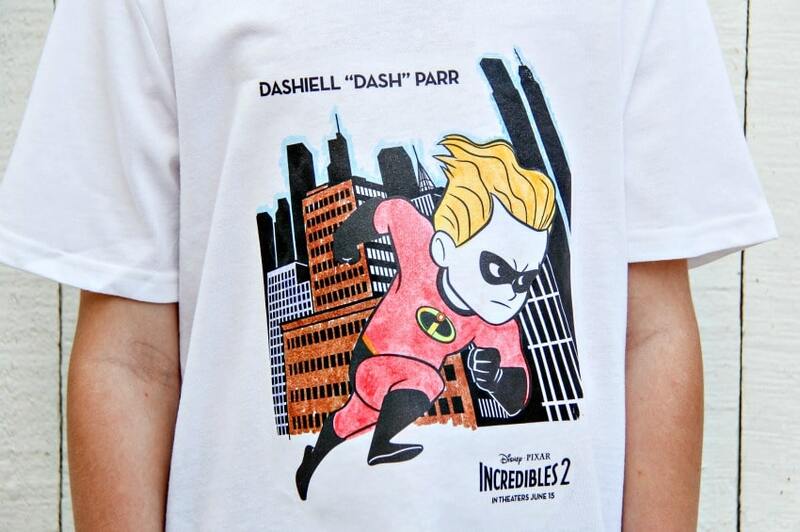 Click here to learn how to make your very own custom-made Incredibles 2 t-shirt. Thanks for the free coloring pages for Incredibles 2. My son will love these.